Hesse Martone, P.C. 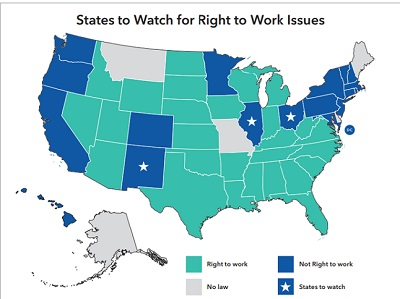 :: News :: Blog Archive :: RIGHT TO WORK FOR CITIES? RIGHT TO WORK FOR CITIES? This entry was posted on Monday, July 30th, 2018 at 12:45 pm and is filed under Developments in the Law.